For the FIA GT3 Championship, Mercedes-AMG has taken the veils off the new GT3 racer, which is basically an angrier version of its GT sibling. 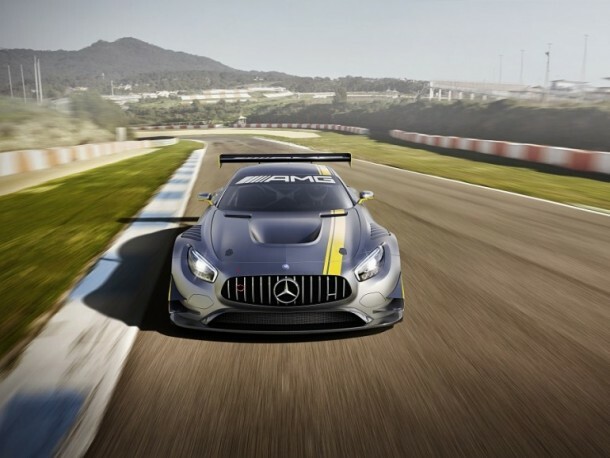 According to Mercedes, the gravity of center (which is low), distribution of weight along with the wide track width of the standard GT provided the firm with an ideal platform to build the GT3 racing model. These properties have allowed the car to carry out acceleration quickly when turning, corner with un-parallel precision, maintain high levels of traction and minimal inertia when direction is changed. 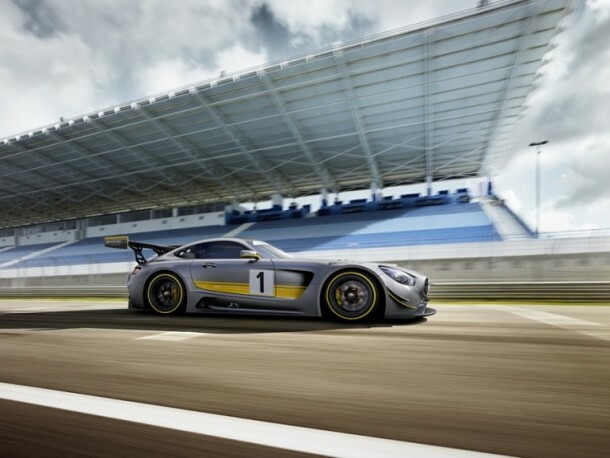 It relies on the AMG 6.3-liter V8 engine from its SLS AMG GT2 forbear for power. The car features a 6-speed transaxle mounted sequential racing gearbox that helps with distribution of weight and also sports double-wishbone suspension that has been crafted mainly from aluminum. The protective space-frame has also been created from aluminum. The driver has been given more protection by incorporating a steel roll-cage along with carbon fiber seat-pan. To reduce weight; doors, engine cover, front and rear aprons, front wing, side skirts, sidewalls, boot lid, rear airfoil and diffuser have been created from carbon fiber as well. Air intakes in large quantity help the engine in remaining cool while the airfoil does exceptionally well when it comes to imparting downforce. The car’s diffuser also enhances the aerodynamic properties. When considering all the bodywork modifications that have been carried out on GT3, it can be said that the car has been designed to crank out maximum power output while maintaining high aerodynamic performance. 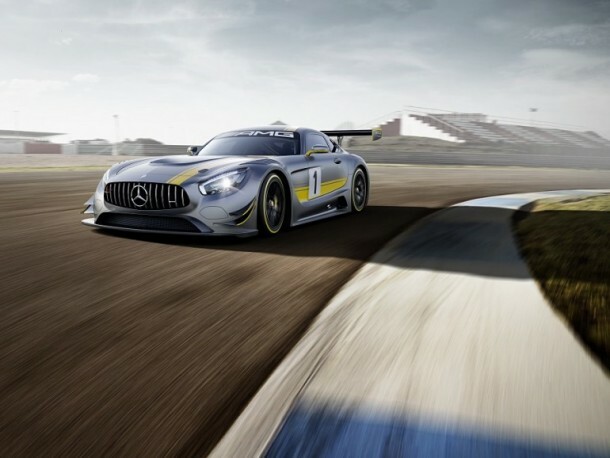 The Mercedes-AMG GT3 shall be shown off at the Geneva Motor Show in March and shall be shipped to customers by the end of 2015.